How cute are these i-phone cases? Pretty Smitten is offering one of you lucky readers a personalized i-phone case! Check out all the fun patterns and colors! Now, the only hard part is deciding which one to get! if you see anything else that catches your eye! There is paper, plates, trays, and party packs! I will pick a random winner on Friday! 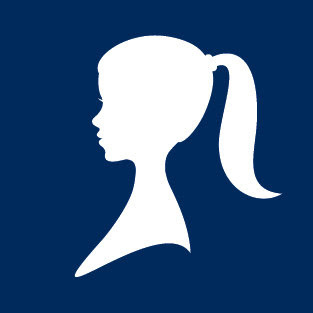 You had me at that beautiful silhouette! In addition to the iPhone cases, I love the lucite trays! What a cute shop! I love the personalized card sets! The silhouettes are great too! I too like the personalized card sets! also the trays. Thanks for sharing. I adore the Maze with fuschia and red stripe! Wow, I love their stuff - too much to pick just one. Thanks for the opportunity to win. Been drooling over her Etsy shop for quite a while. In love with the lucite trays...but would certainly put a cell phone case to good use! I just added them to my favorites on etsy what a GREAT shop would love to win a sassy new cover! What a great giveaway! I love these! The lucite trays are fantastic too. I love the card sets, too. Thank you for the giveaway!! I love the platters! awesome giveaway!!! Love the lucite trays and the clover iPhone cover! Oh how I love that iphone case! 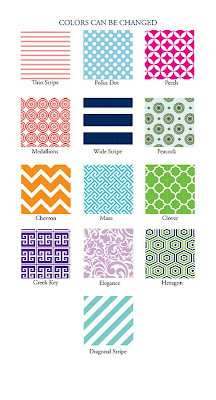 Chevron, peacock and stripes oh my!!!! LOVE the peacock pattern for the iphone cover! Such cute things! The peacock patterned case is awesome! And I could find about 1000 ways to use that melamine platters! Love the personalioized iphone cases. Love it all to be perfectly honest!! This shop is so cute! I am a huge fan of personalized items and have saved this shop as a favorite. I adore everything but have to say a personalized iPhone case for my daughter is a must. Her name is Raegan and since we have a different spelling of her name, trying to find anything with her name on it is impossible, unless we do a custom order....... So this is perfect!! One of my friends posted this on my fb wall! I love the iPhone covers! I think the Elegance with fuchsia would be adorable! Thanks for the giveaway! Wow! How cute! Love the iphone cases! 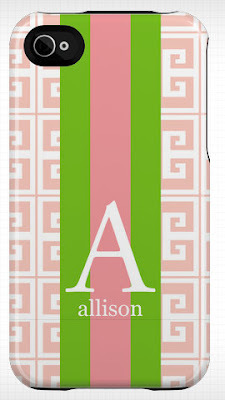 I would get the iphone case in elegance with fuschia & kelly green colors for my neice! Love the chevron striped case! They have cute stuff! Love it! I LOVE the iphone cases! The leopard lucite tray is super cute too. 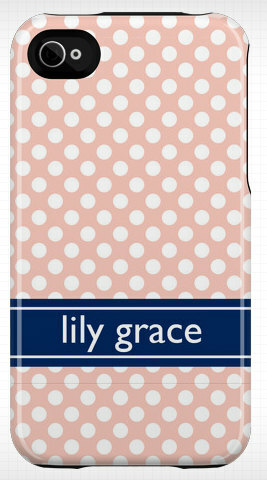 I love the elegance i-phone cover pattern in chocolate with my name in pink!! Oh man...what's not to LOVE! I liked the personalized folded cards, ALL of the melamine plates/platters & the Lucite trays...sooo CUTE!!! That silhouette in beet is precious! What great designs!! awesome giveaway. I love all those cases! oh my goodness--i need a new case so bad! love all the home decor stuff too like that clear tray! I'm loving the personalized phone cases & the silhouettes. Lovely things! Love it all! Gorgeous stuff! HELLOOOOOOOOOOOO!! SIGN ME UP FOR THIS ONE!!! A MONOGRAMMED iPHONE CASE THAT HAS MY NAME ON IT SO MY 13 YEAR OLD CAN'T STEAL IT FOR HER PHONE!!!!! THIS GIVEAWAY IS MADE FOR ME!!! Now this is just AWESOME! I would have to pick the polka dot in grey with a papaya stripe along the bottom. Would love the iphone case! I love all things personalized. Also love the photo trays. Love the personalized luggage tags! how perfect to spot my luggage on the carousel from the gazillion other suitcases! If I win the iphone cover my daughter will be thrilled! Thanks for the chance to win! I love the iPhone cases! So cute! I also think the lucite trays are fabulous! I love everything they have!! If I had to pick just one thing it would be the melamine plate. I love the chevron iphone case!!! Too cute! Hi, I hate to contact you this way-through the blog-but I don't see a "contact me" anyplace...hmmm...it's probably right in front of me. Anyway, Bliss Farm Antiques here. I believe you contacted me a few weeks back about doing a give away. I have some time just now and would like to talk to you about it. Shoot me an email so we can talk! Have a great day! love the polka dots in turqoise with pink stripe! I love the iPhone cases but am in love with the Personalized Lucite Tray, 11x17..gorgeous! I love the lucite trays! Wow! Those are the cutest iphone cases! I've been wanting to order one, and would love the chance to win! The silhouette is beautiful, that drew me in. Hard to choose which phone case, they are all so stinking cute!!! I also like the personalized card sets. 'You are my sunshine my only sunshine' Hee hee, I used to sing that to my now adult daughter when she was a teeny tot. I ought to buy one of those and put it on her wall. Her birthday is in November! I love the girliness of all the items there. I think I'm in LOVE!! Now if only they had iPad cases, I'd die! :) I am smitten over the wide stripe and as always I'm a sucker for the chevron pattern. so many great items. LOVE the personalized iPhone 4 case. In addition the personalized lucite tray is wonderful as are the personalized folded cards. Hoping to win this! It's all fabulous! If I had to choose one, it would have to be the leopard tray. Every girl needs a little leopard accessory. WOW! These are so fun. 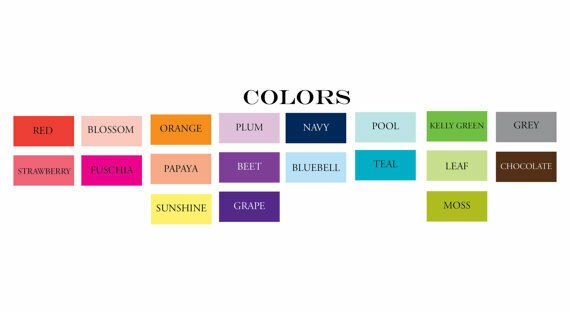 I think I would go for the silhouette or the pink and green stripe with monogram. I have been waiting to meet the perfect iphone case and this is it! I like everything but especially the iphone cases! 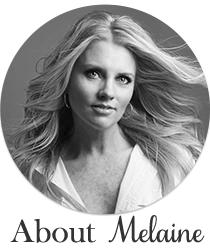 I love the lucite trays and the personalized melamine platters, too cute! I love the personalized kids plates. I'm thinking christmas gifts already. Wow...I love the cards and of course the lime green polka dot case...my daughter would love it! I love the his and her trays. Those would be so cute in my bathroom! Fantastic shop! Love the cases and the stationary!